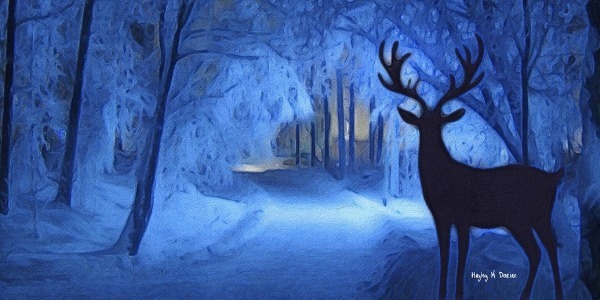 The Winter Solstice is a time of re-birth and welcoming the return of the Sun. It’s a time to reconnect with our own inner power, to call in the light and with it, all of our hopes, dreams and aspirations. Come and be a part of this beautiful candlelit celebration of the return to the light. Sound healing is a great way to let go, take time away from the stresses of everyday life (particularly from the hustle and bustle of the Christmas rush). During this winter solstice event, you will be submerged in a deep ocean of sound created by Gongs, Shamanic drums and other healing sounds. The Gong produces a strong sound wave, almost tangible enough to touch. These sound vibrations release tension and any blocks in the body and mind, they strengthen the glandular and nervous system, increases prana (vital life force) and improve circulation (to name only a few). Being immersed in these remarkable sounds tends to bring people whatever experiences they need in that moment, no two experiences are ever the same. What ever your experience is unique to you and exactly the experience you need at that time. Sound healing (also known as Gong baths) are especially helpful for people who struggle to meditate, the sound waves automatically take you to that place of rest and pure tranquility. Please bring a bottle of water and for a more powerful experience try to avoid heavy food 2.5hrs prior. Mats & blankets provided, but feel free to bring anything else which may help you feel more comfortable. Not suitable during pregnancy or if you suffer from acoustic trauma. If hearing aids are worn, they will need to be removed – (the sound doesn’t need to be heard, it can be felt throughout your whole body). Hayley found Kundalini Yoga at the beginning of 2014 and instantly loved it. She decided to teach Kundalini Yoga because it offers a tangible path in the real world to self awareness and transformation. Hayley is a certified Kundalini Yoga Teacher and is qualified to teach adults and children aged 2-18. 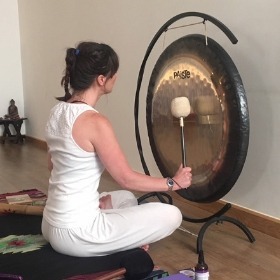 She has also has extensive Gong training and is passionate about the healing benefits of sound. Hayley thrives on sharing this knowledge and guiding others, adults, teens and children alike on their personal path. We expect this session to be extremely popular so advanced booking is essential.